Located in the heart of Orange County, California, Anaheim RV Village is a 12-acre RV park located next to the Disneyland Resort in Anaheim. As the largest RV park in the city, the full-service Anaheim RV Village is a self-contained community that features 293 sites, a lounge/family center, convenience store, playground, pool and spa, laundry facilities, a large barbeque area, an RV wash station, on-site propane, and full hook-up parking for a variety of travel trailers through Class-A RVs. High-speed wireless Internet access for guests is offered as a valued-added amenity differentiating the Anaheim RV Village from other surrounding RV parks. The ability to provide fast speeds and total coverage across the property is key to keeping guests connected through iPads, laptops, smartphones, and other Wi-Fi enabled devices. Keith Maxwell, IT consultant for the Anaheim RV Village, explained that the existing wireless network infrastructure, which utilized by HP ProCurve access points and a customized box by BlueMesh, didn’t provide the reliability, performance or coverage needed to deliver satisfactory Wi-Fi service for RV park guests. The Wi-Fi signal was unable to penetrate through multiple recreational vehicles, limiting the effective range of the network and leaving guests on the outskirts of the property without wireless access. Maxwell explained that the problem was further exacerbated by the fact that the 2.4GHz spectrum in the resort-saturated area is completely overloaded, so interference issues made it difficult for users to access ANY wireless network in the area. Maxwell’s search for a new wireless network solution led him to EnGenius. “Through my research, I found a wooded RV park that had deployed the EnGenius products and stated they haven’t found anything better for penetration strength,” explained Maxwell. To ensure maximum coverage throughout the RV park, Maxwell deployed EnGenius’ EOA7530 802.11a/b/g dual-radio AP, providing backhaul over the 5GHz band, and ENH200 business-class outdoor access point to deliver 2.4GHz Wi-Fi access throughout the RV Village. 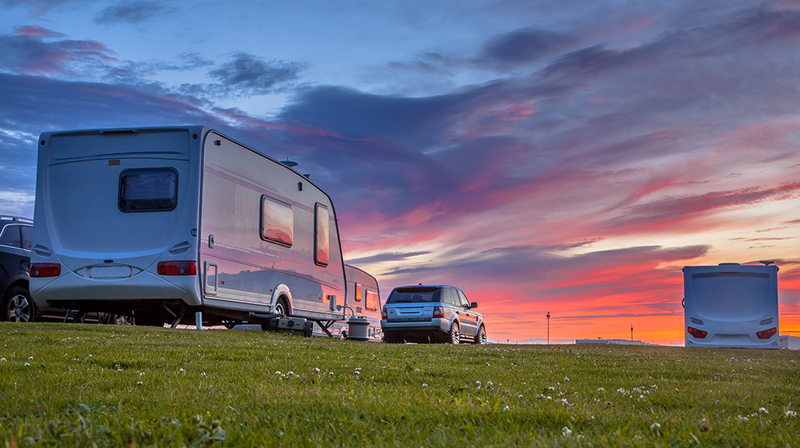 The EnGenius wireless network infrastructure deployment delivered reliable, high-performance network access to guests throughout the RV Village. In addition to the range delivered by the EnGenius solution, Maxwell noted that ability of the products to support a dense user environment and an extreme level of sensitivity made the access points particularly well-suited to this deployment. “The EnGenius access points have more memory and seem to be able to handle a more dense amount of traffic than do other commercial offerings,” explained Maxwell.